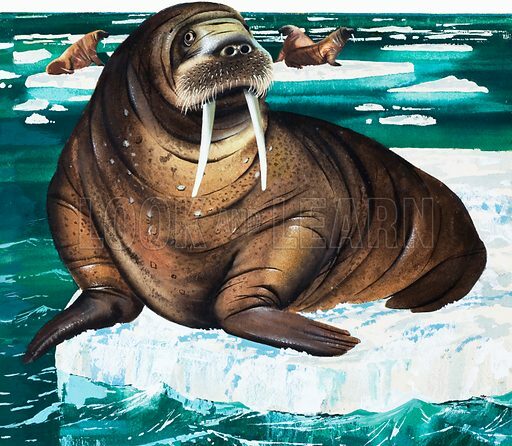 Wonders of Nature: Why Laugh at the Walrus? Wonders of Nature: Why Laugh at the Walrus? From Look and Learn no. 73 (8 June 1963). Original artwork loaned for scanning by the Illustration Art Gallery. Available worldwide for immediate download up to 4,284 x 3,735 pixels.